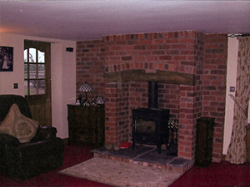 Are you planning a barn conversion in the Market Drayton area? Do you want a sympathetic builder who will create the right combination of style and practicality? DJT Building and Landscaping Contractors is a well-established building firm with a genuine interest in renovating old barns. We had been a successful general builder when we decided to renovate an old barn on our land. After converting our own house and enjoying the challenges that came with the project, we realised that this is an area of building work that we would like to move into. 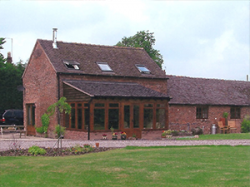 With first-hand experience of how the project progresses, DJT Building and Landscaping Contractors are the obvious choice if you are looking for a building firm to carry out a barn conversion in the Market Drayton area. As well as being highly skilled and experienced builders, DJT Building and Landscaping Contractors are nature lovers who know the area well and are experts at fitting barn conversions into the landscape and developing in a sympathetic manner. Our policy is to keep original features where possible and create the perfect combination of family home and original development. DJT Building and Landscaping Contractors offer a personal service where you can always speak to the same person, so call Sue or John today on 01630 647801 to discuss your requirements, we look forward to talking with you.